I don't really switch up my beauty/makeup routines to suits different seasons or trends, but I do change things up occasionally if my skin feels different. 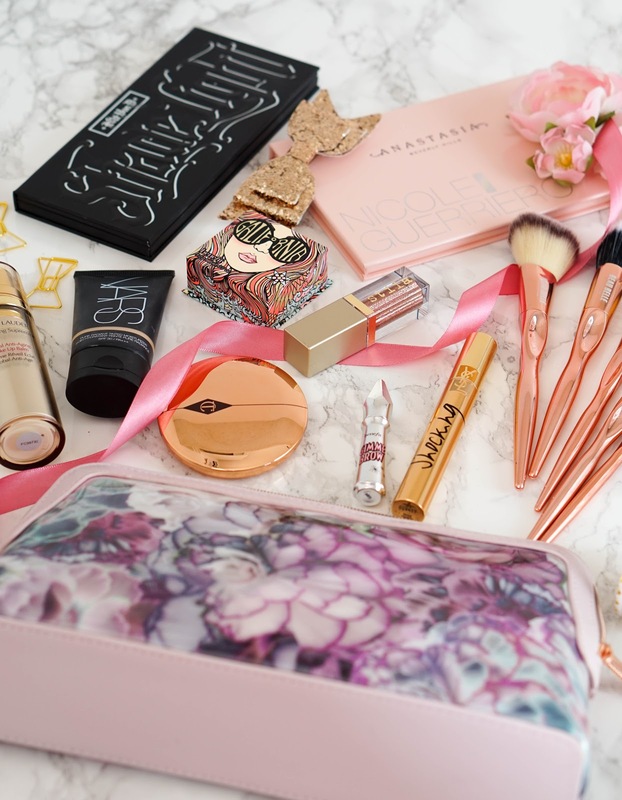 As a beauty blogger I also change things up depending on any new beauty products released, which may have caught my eye.. lately that seems to have happened a lot since there's so many beautiful new releases. 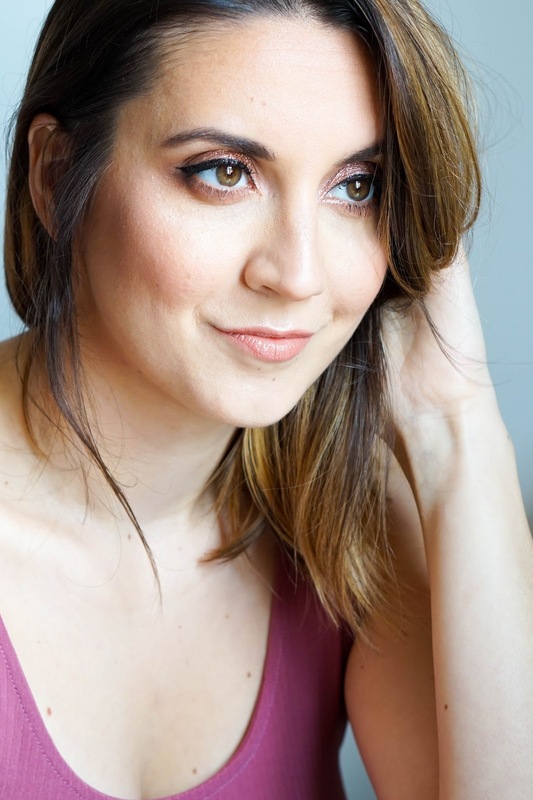 So I thought I would put together a post with my current makeup favourites and also the new product additions that I have been obsessed with. I've also created a makeup look using all the products on my face, so it turned out quite glam but not over the top (in my opinion anyway).. It wouldn't be my everyday makeup look let's be honest but it is nice to put in the extra effort for weekend or time off work. So for my base I've got my current holygrail products which is all I've been wearing this year. Since my last clear out, I actually don't own any other bases and to be honest it feels great to just have the one foundation, primer & powder. Scratch that, I've got my hands on a couple more base products from Charlotte Tilbury recently, but I'm still using this trio more than ever to try finish up the products. I'm also currently waiting to receive the two new foundations from The Ordinary, but with stock coming through quite slowly who knows when that will be. Anyway back to my current staples which are the NARS Tinted Moisturiser for a light/medium coverage that looks and feels super natural, with The Estee Lauder Wake Up Balm underneath as a primer that adds extra radiance & glow, finished with my favourite face powder ever the Charlotte Tilbury Airbrush Powder which I have been using non-stop (seriously thinking of getting a back up). Moving on to sculpting the face, which I do lightly using the Kat Von D Light & Shade Palette. 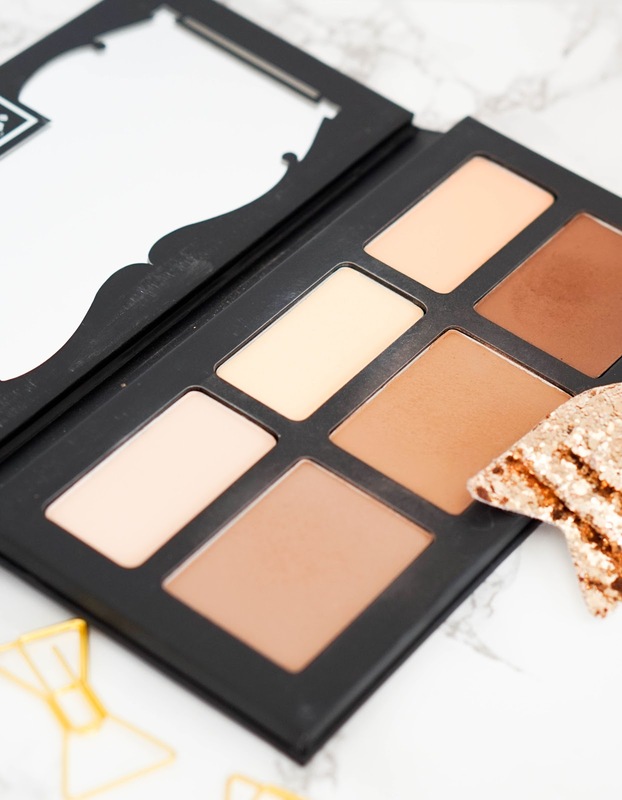 This is great for contouring your face to perfection. However I use it lightly to define my cheeks and add some colour back into my complexion. Speaking of adding colour to the face, my new favourite blush (especially for this time of year) is of course the ever so hyped Benefit Galifornia. The brand have amazing marketing skills as always and really know how to create hype around a product, which is what they've done here. It didn't take me long to give in to temptation and finally buy this new blush addition, but I am so glad I did because it's the perfect bright rosy coral blush and it smells so lovely too. Before swatching this and using it on my face, I definitely though it would be more of a peach colour, but I was fooled. 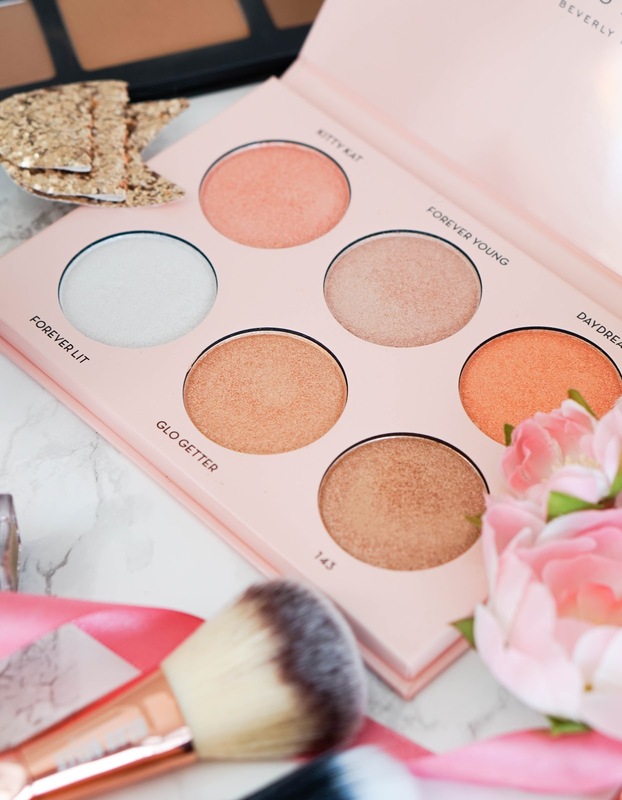 This is quite pink toned with hints of coral and a fine golden pearl finish, which looks luminous and glowing on the skin. I like to use a fluffy brush with this to make sure I don't pick up too much product as it is quite a bold shade overall, so building up the intensity is key here. The formula feels smooth and silky, so it does actually blend out really well even if you do apply too much like I did at first. 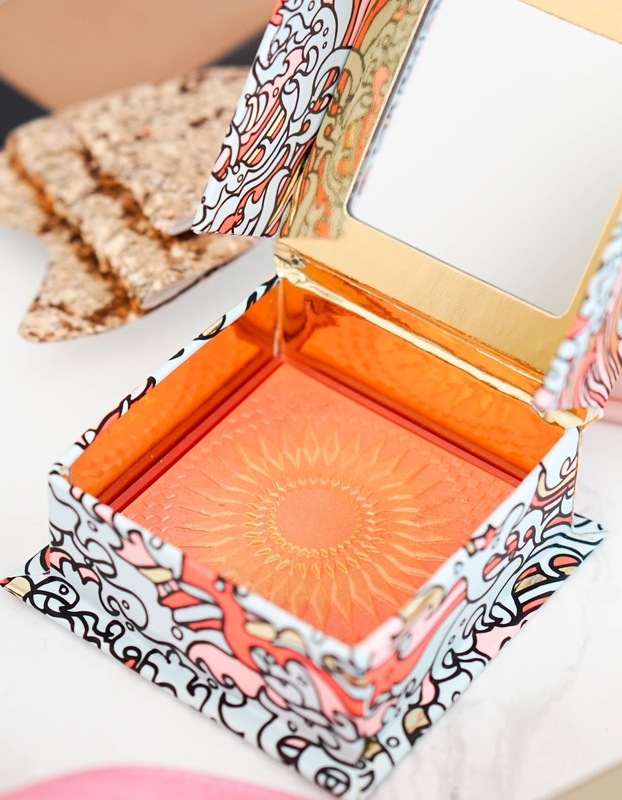 I've always been a fan of Benefit blushes and this is no different, plus how stunning is the packaging (it just screams summer). For the cheeks I can't be without highlighter, it's my current makeup obsession... it's like I just want to collect them all. At the moment of course I am loving my first ABH Glow Kit, which is the one Nicole Guerriero created with the brand. I won't go into too much detail as I have a full review here if you want to know more, but short story I love the intense highlight and the radiant glow it gives to my skin. Moving onto the eyes where I add even more shimmer and sparkle to me makeup look overall. 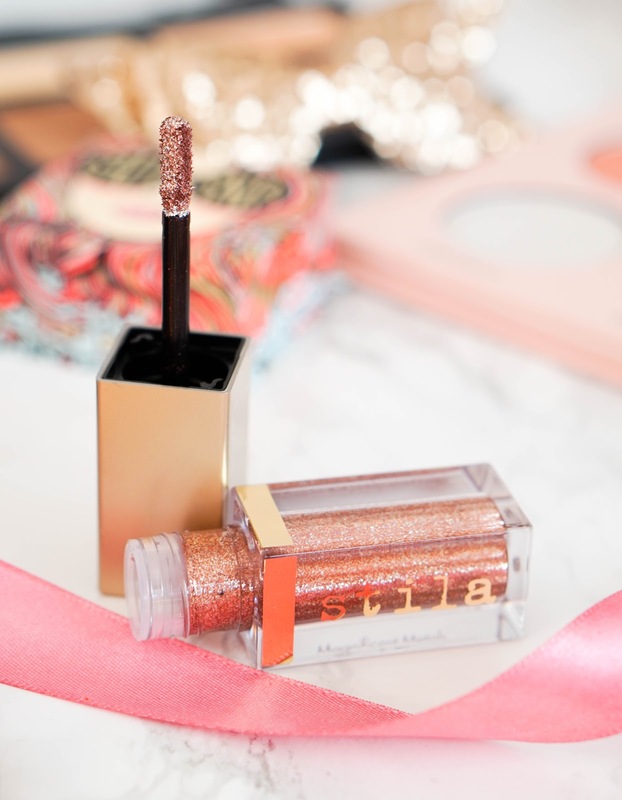 Once I have slightly defined the crease and blended out some colour using the same Kat Von D Shade & Light Palette I used on my face, I apply the new Stila Magnificent Metals Liquid Eye Shadow, which are quite tough to track down and sold out most of the time. I initially wanted to get my hands on the shade Rose Gold Retro but could only manage to find Kitten Karma, so I just went ahead with that. These eyeshadows are quite pricey, but I can easily see why.. they are unique, I certainly haven't tried any like them before and they are just beautiful. If you like glitter, then you will love these because they're full of sparkle and apply effortlessly. I found this eyeshadow long wearing, although you will get some glitter fall out throughout the day so I recommend a good eye primer underneath to minimise the issue. This shade is super pigmented and leaves a stunning lustre finish, plus it actually feels lightweight.. I almost forget I'm ever wearing all that shimmer. I like to apply these with a cream flat shader brush and built up the intensity, which works best for me and creates minimal glitter fallout. I'm tempted to pick up more shades but to be honest I don't even know how I'll ever finish this one as a little bit of product goes a long way. I almost forgot to mention that I am quite impressed by the packaging, it looks luxurious and feels quite weighty. I finished the eyes with some black eyeliner and tons of mascara. Once the brows were groomed with my favourite Benefit duo, I moved on to lip choices and decided to just stick with a light tinted lip balm. I felt like there was so much going on with my eyes in terms of shimmer that I didn't need to add lipstick to the mix. 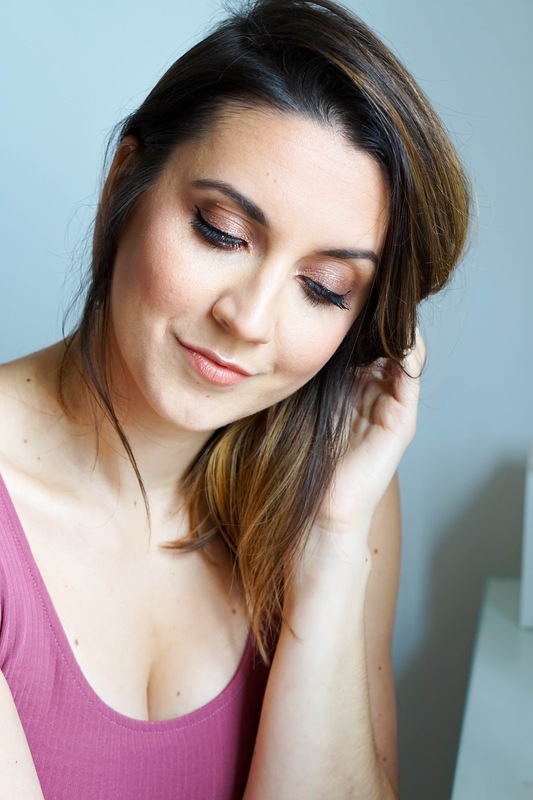 I do however want to talk about the brushes that I used to create this makeup look and of course I'm talking about this stunning rose gold set from Beau Belle Brushes*. 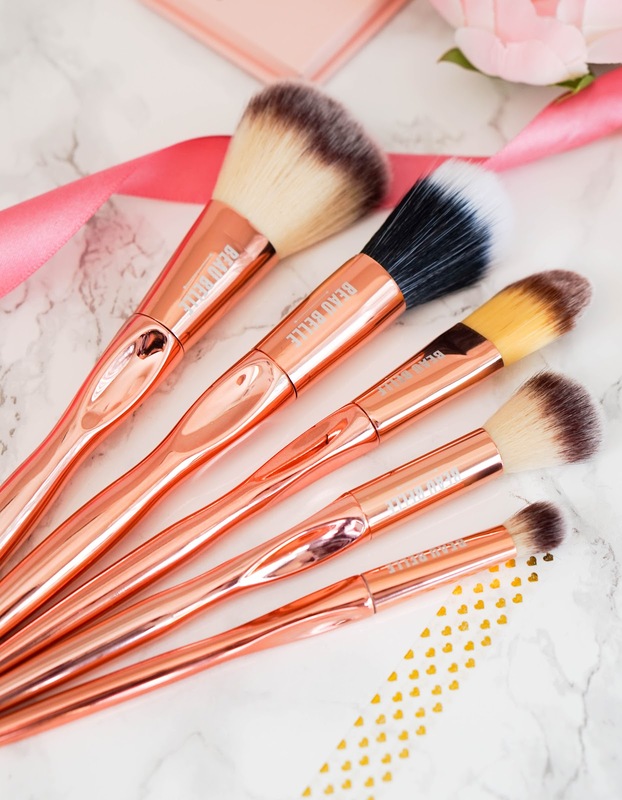 I'm sure I'm not the only one who is obsessed with rose gold and copper tones, so this brush set is pretty much a blogger's dream. I'm pleased to say that the brushes are made from synthetic fibres and feel super soft. My favourites from the set are the setting and powder brushes, which are great for multi-tasking and have become staples in my makeup routine. Another great feature is the little groves made in the handles, as they help you grip the brushes comfortably. I can't fault this set at all and I would happily try out some of their other brush sets in the future. So that's my current makeup routine and the products I have been using lately, when I actually have time to even wear makeup.. because to be honest most of the week I barely wear an ounce of concealer. 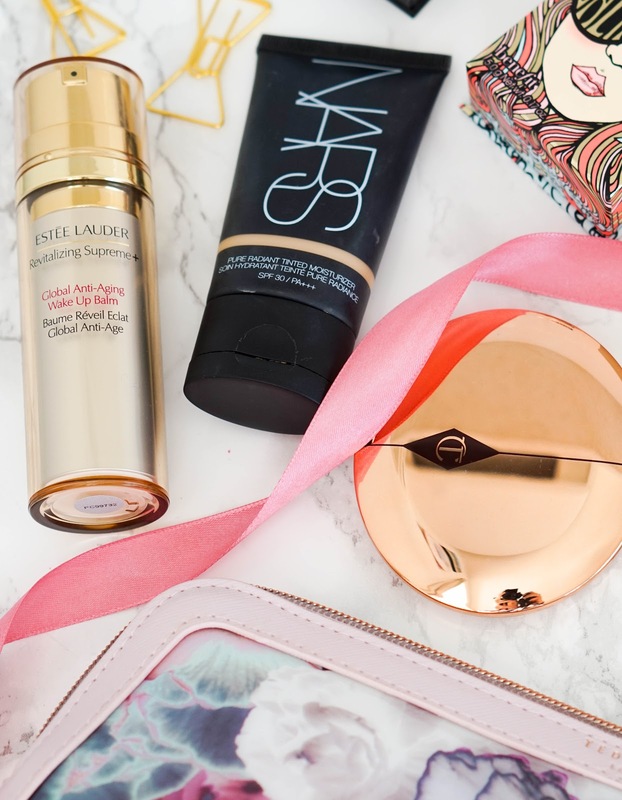 I'd love to hear if you're switching up your makeup bag for summer & adding new product releases? Let me know your thoughts in the comments below..